You are a paid member of PPANI or for the current year. Registration is paying for the program only. 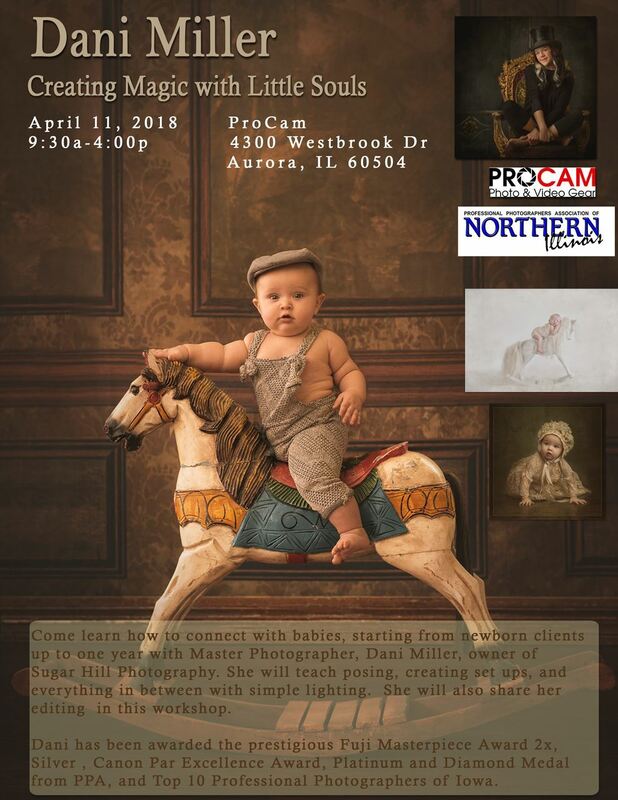 Come learn how to connect with babies, starting from newborn clients up to one year with Master Photographer, Dani Miller, owner of Sugar Hill Photography. She will teach posing, creating set ups, and everything in between with simple lighting. She will also share her editing in this workshop. Dani has been awarded the prestigious Fuji Masterpiece Award 2x, Silver , Canon Par Excellence Award, Platinum and Diamond Medal from PPA, and Top 10 Professional Photographers of Iowa.